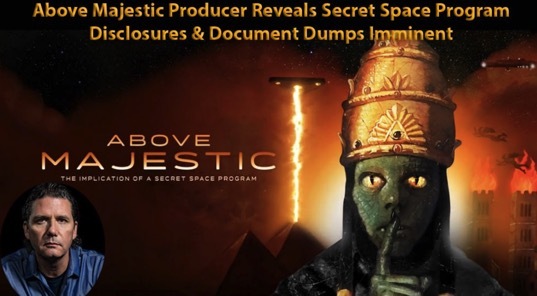 Corey Goode, producer of the bestselling Above Majestic documentary, released a major update on November 17 concerning a new insider that he has privately met and vetted. The insider is a retired surgeon with 30 years experience in a major branch of the US military, and used the pseudonym “Bones” after revealing his true identity. Goode says that after he met Bones about a year ago, he subsequently put Bones in touch with his other insider sources, including “Sigmund”, another pseudonym used by former senior officer in a USAF run secret space program. It is a joint facility and control is with ICC but different programs think classified ppl from their own projects run everything. You have levels of SSP coming in and out. They timeshare the assets at the LOC’s. Only middle brass ever see’s the ppl that run the bases and the ppl that cycle in or are lower SSP’s only have access to the middle brass, etc. 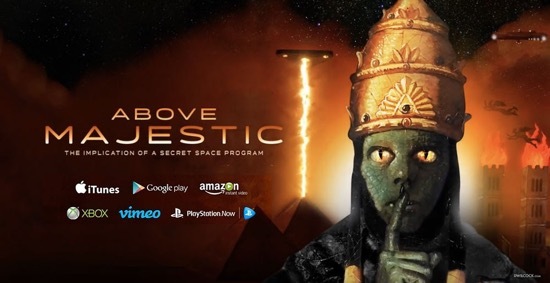 Some of the information will be disclosed in documentaries similar to Above Majestic: The Implications of a Secret Space Program, which the SSP Alliance believes is an excellent way of disclosing the truth. The SSP Alliance plan is unchanged, they plan to make a partial disclosure impossible and find a way to Full Disclosure thus delivering the entire ‘SSP Infrastructure’ to all of humanity on equal terms. BONES & 5 of his team of leakers, all between the ages of 68-82 were brought into protective custody by the SSP Alliance not long after the meeting where Bones handed over the 2 drives…. They had tons of videos of old timers giving death bed confessions and testimony on what they did in DF. I am told it is very detailed and disturbing stuff. [T]he ICC and DF know we received this intel and are very worried. This intel release was approved because it would cause more of them to defect as there is a rumor that more and more of the DF assets have defected from the DF but have not joined SSP Alliance, it is speculated that they are trying to go rogue with their own program and assets that is totally broken away from our solar systems infrastructure. At this stage some will ask whether there is any documentary evidence supporting any of Goode’s incredible claims, especially his assertion that he will be used as a conduit for future document releases? Actually, there is. Goode was the person who first released two Unclassified for Official Use Only Defense Intelligence Reference Documents (DIRD), which were commissioned in 2007 by the forerunner to the Advanced Aerospace Threat Identification Program. The two documents are titled “Traversable Wormholes, Stargates, and Negative Energy” and “Warp Drive, Dark Energy, and the Manipulation of Extra Dimensions”, the first was authored by Dr. Eric Davis, and the second co-authored by Dr. Richard Obousy and Davis. While most UFO researchers are reluctant to discuss Goode’s role in releasing the DIRD documents, and instead point to less controversial sources such as Tom DeLonge’s To The Stars Academy, and George Knapp’s, iTeam, the fact is that out of 38 DIRD documents known to have been written, only three to date have been publicly released – two by Goode, and one by Knapp’s iTeam. What Goode’s public release of the two DIRD papers conclusively show is that he does have high level access to genuine insiders with documents they have been authorized to release through him. This helps raise confidence in the accuracy of what Goode has revealed about Bones and Sigmund regarding the Dark Fleet, and the prospects for full disclosure through future document releases similar to the DIRD articles, and documentaries such as Above Majestic.